Mik may have once been into meeting characters when he was little, but I don't think he ever liked the princesses. Thus, this was not exactly his thing to do, but he was a good sport and went along since we had a Fastpass+ to do the Meet Cinderella and Rapunzel at Princess Fairytale Hall. 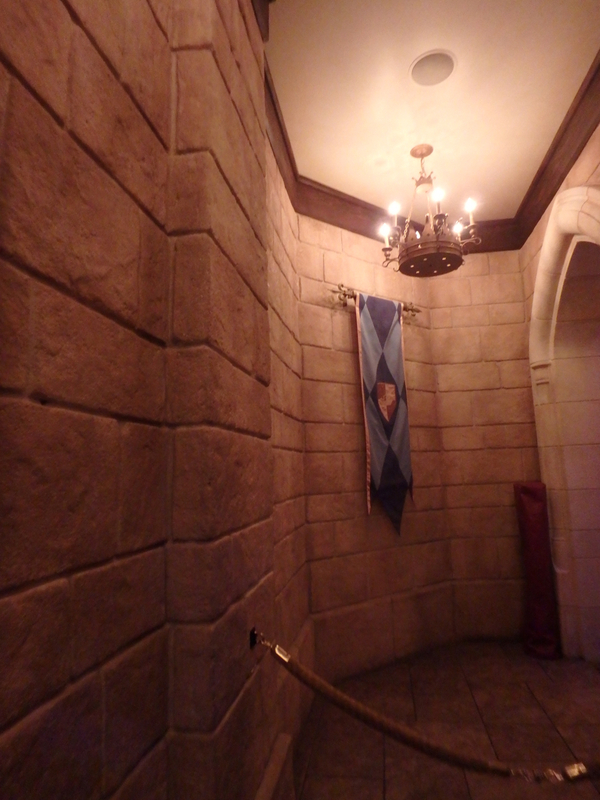 The setting for this character meet was the least interesting to Mik overall, but just because he isn't really into the Disney castle stuff. 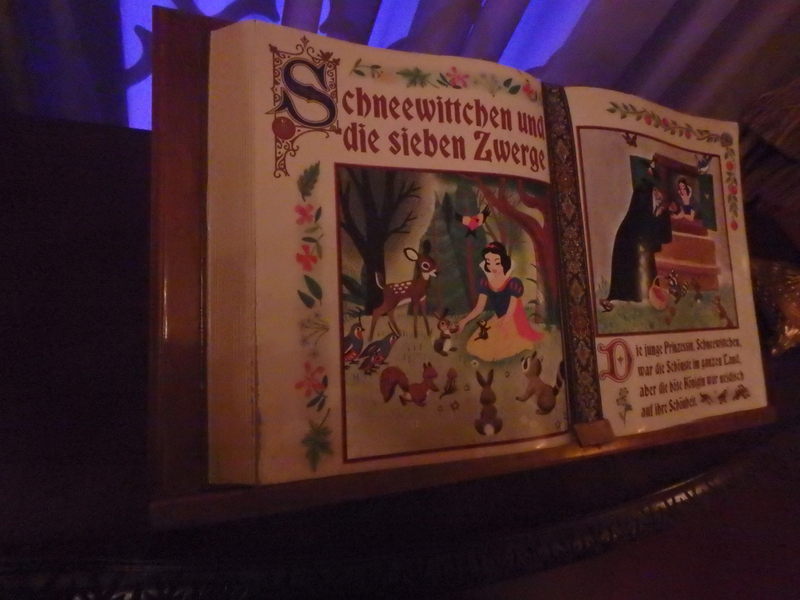 He did appreciate that we discovered a storybook page featuring Snow White in the room where the princesses were. However, it would've been better if it was in English; and it is kind of odd with it not being Snow White's castle or even a meet and greet featuring Snow White. 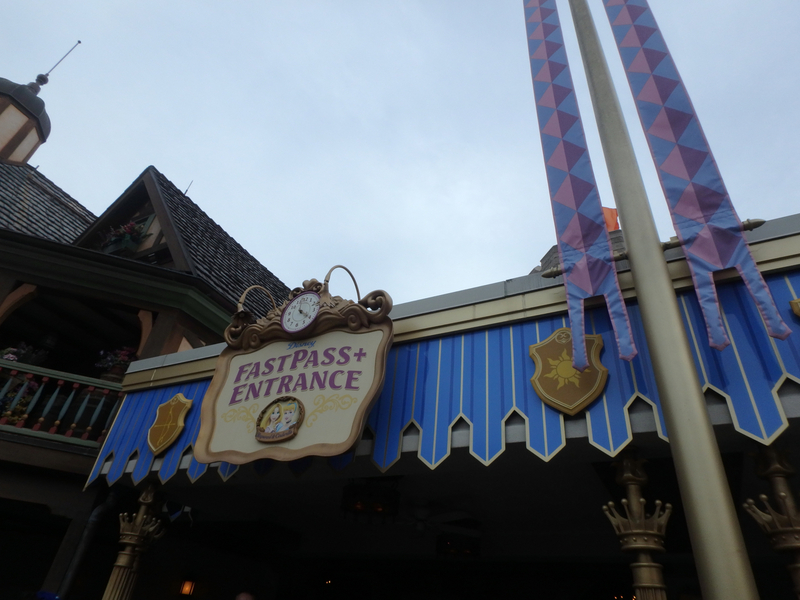 While overall I really dislike the whole Fastpass+ thing and having to really plan out what you want a month in advance versus the old day of Fastpass system, but we definitely wouldn't have done the characters if we hadn't ended up not wanting our Epcot choices and deciding the day before to switch to Magic Kingdom with only the character meets and 'it's a small world' being our options.